CCS is out to prove that using our cartridges is not only a quality choice, but also a performance, sustainability and smart business choice. 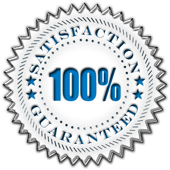 Our quality assurance process goes above and beyond OEM, remanufactured cartridge and manufacturing industry quality process standards because we are committed to producing an exceptional product. In-bound testing and analysis of returned empties to confirm component integrity and reuse. Testing and analysis of new OEM cartridge models regularly identify defects that CCS then corrects and advances in our re-engineering process. Tracking and trending analysis of defects with an established response and alert protocol. Clean lab-inspired manufacturing and distribution environment monitored for humidity, temperature and storage control. 100% post-production testing of each cartridge to ensure OEM benchmarks are met or exceeded for consistency and quality of printing, yield, toner transfer rates, and print density. We won't put a cartridge on the market with the CCS name unless we know it is an exceptional product. 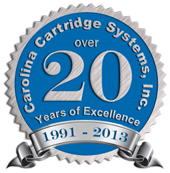 Certain cartridges simply cannot be remanufactured to our standards. And until they can, we will recommend the OEMs and keep analyzing and dissecting until we can master and bring it to market to exceed that particular OEM's yield and print quality.